WOW Is the first word that comes to mind when looking at this meticulously kept Lexus ES300h. Pure and utter silence when you sit in the cockpit of this low mileage conveyance of elegance. As you are driving the calm surrounds you with leather seats to comfort you heated or cooled, as to be expected adjustments to the individual climate zones are at arms reach. A mouse click away from your navigation system enables you to set your path and stay on it. Adjust the sounds inside using the steering wheel mounted controls. Such a wonderful car. Call or email for more information. 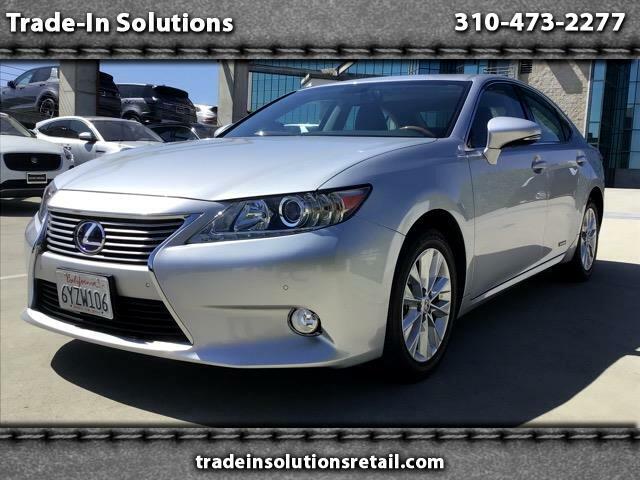 Visit Trade-In Solutions online at tradeinsolutionsretail.com to see more pictures of this vehicle or call us at 310-473-2277 today to schedule your test drive. Message: Thought you might be interested in this 2013 Lexus ES 300h.